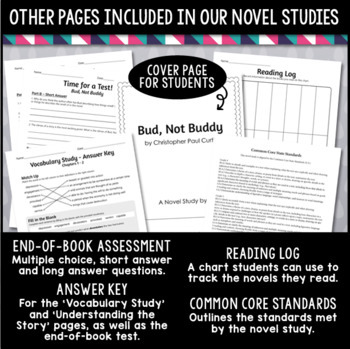 This is a novel study for Dexter the Tough by Margaret Peterson Haddix. 44 pages of student work, plus an answer key! 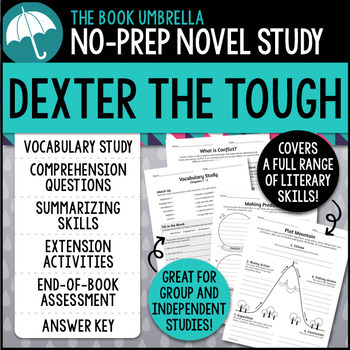 This novel study divides Dexter the Tough into five sections for study. 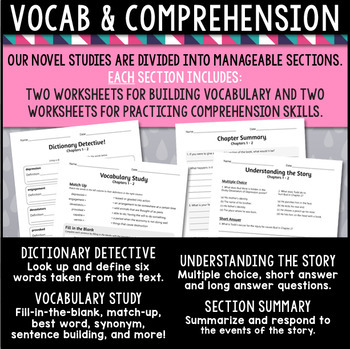 The chapters are grouped as follows: Chapter 1-4, 5-8, 9-12, 13-16, 17-20. 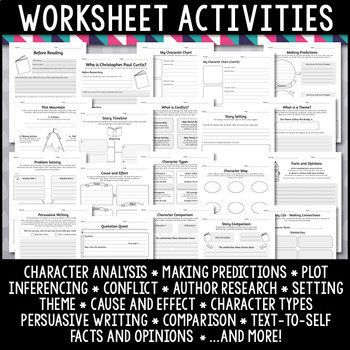 • 20 Comprehension worksheets (includes Before Reading, Author Research, Character Chart, Making Predictions, Plot Mountain, Story Timeline, Conflict, Setting, Theme, Problem Solving, Cause and Effect, Character Types, Character Map, Facts and Opinions, Persuasive Writing, Quotations, Character Comparison, Story Comparison, Making Connections).